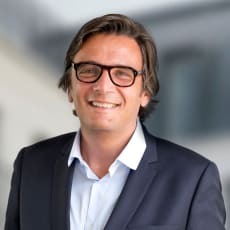 Alexandre is a partner in the international commercial group in France and managing partner of Bird & Bird’s Paris office. He is registered with the Paris Bar. With both French and English postgraduate qualifications in commercial and corporate law, Alexandre has extensive experience of transactional matters. He is able to offer comprehensive advice on all aspects of general business and consumer law. He assists on commercial contracts covering distribution franchise, sales, agency, cooperation and procurement arrangements, acting for suppliers and customers particularly in the tech and comms, and retail sectors. Alexandre has a specific expertise in the field of online business-to-consumer matters and he advises clients on all aspects of trading practices, marketing and advertising, with a particular focus on advertising and sales promotion schemes. Alexandre has been representing operators of games for more than 15 years and he is experienced in negotiating and securing gaming licences from the French regulators.